‘Baahubali 2- The Conclusion’ Movie Review: Extravagance, Grandeur, Fantastic and A Winner Of All Reviewed byKuhu Srivastava on April 28 . The story revolves around Shiva, the son of Bahubali who is looking for all the answers for his inheritance and history of his family. The story is juxtaposed that will unwind events happened in Mahishmati Kingdom. The story is more than on why Kattappa killed Baahubali. When SS Rajamouli crafted ‘Baahubali – The Beginning’ and we were treated to one of the finest VFX and stunts that Indian cinema has ever seen, no one imagined it to scale the heights of success that it did, eventually. We watched the movie and were in awe of everything it had to offer. It gave rise to a question that became a movement for two whole years; “Why did Kattappa kill Baahubali?”. We could not wait for the sequel. It is here, and boy, was it worth the wait? You bet it was. ‘Baahubali 2 –The Conclusion’ is even better and grander than the first part, and everything is just going to engulf you in its extravagance, as you stare at you IMAX screens, totally stupefied. Firstly, we are not going to give you spoilers, but just going to tell you that Kattappa mystery will indeed leave you stunned. What’s more? There is one another blow that will come your way, but we are just going to leave you on a cliff-hanger here. Watch it and thank us for not giving spoilers. The performances are amazing. Prabhas and Anushka Shetty’s chemistry is electric, and if possible, even better than the one we witnessed in the first part with Tamannaah Bhatia. Sathyaraj has again surpassed himself as Kattappa. Rana is menacing as the older Bhalladeva and we could not have asked for a more evil antagonist. The effects are even more splendid, Rajamouli has fine-tuned even the slightest glitches that were a part of the first instalment of the series. 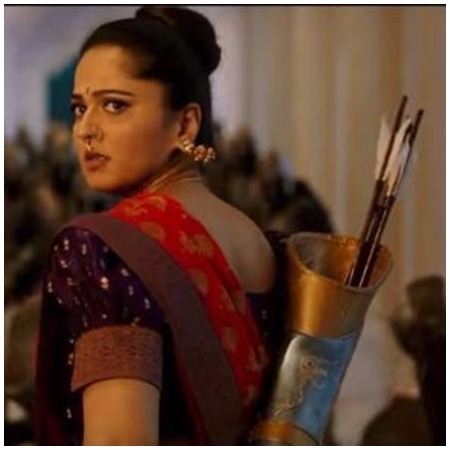 One also gets to know more about the two very strong female protagonists from the first part, Devasena and Sivagami. All in all, this weekend, go and watch the movie. It is worth your time and money and will offer you all the entertainment along with the taut plot and nerve-raising mystery. 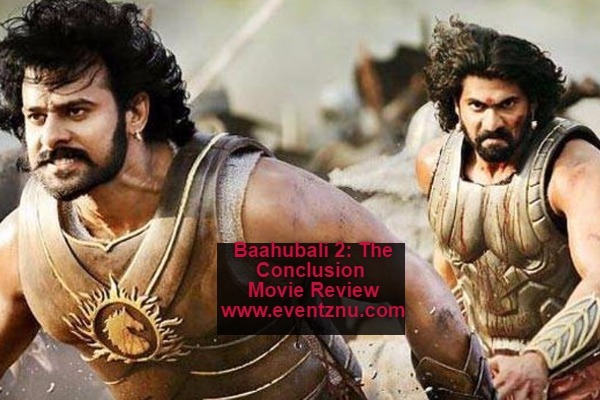 We at Eventznu give ‘Baahubali 2- The Conclusion’ 4/5. It is a fantastical epic which should not be missed. Previous : Rishi Kapoor Lashes Out At Young Stars For Not Attending Vinod Khanna’s Funeral!